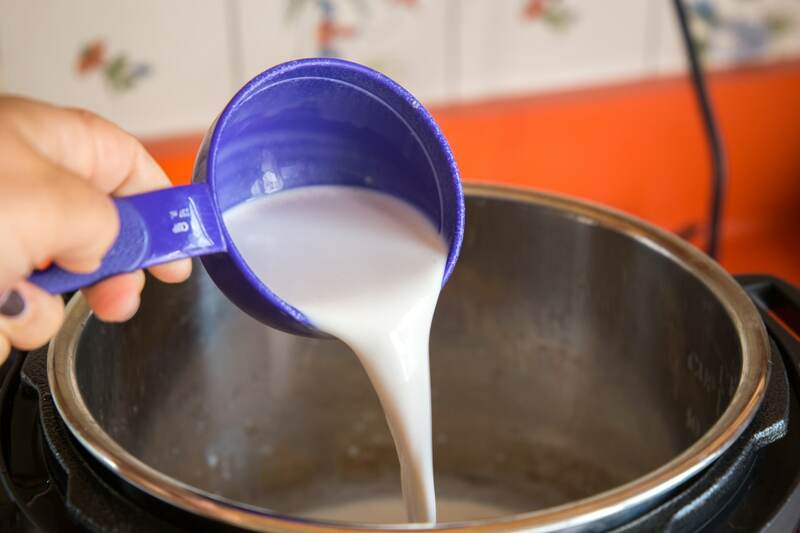 Moon milk is the hottest beverage trend in the health and wellness world, and it couldn't be easier to make at home using your electric pressure cooker. 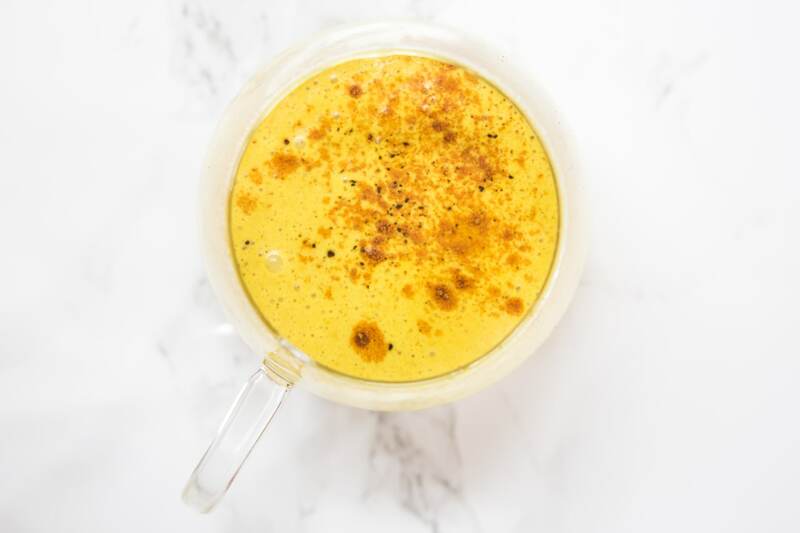 You may have heard of Turmeric Lattes, also known as "Golden Milk", but have you heard of "Moon Milk"? It's the latest trend in the health and wellness world, and with good reason. It's packed with herbs and adaptogens to help heal your gut, calm your senses, and lead to a satisfying night of sleep. The warming spices like nutmeg and cinnamon act as natural sleep aids, and ashwagandha is an adaptogen that has been used in Ayurvedic medicine to fight stress since ancient times. All those benefits, plus it's soothing and delicious! You already know how to make almond milk in your pressure cooker, so you can start this recipe by making a batch, or you can use your favorite type of milk or non-dairy milk. You can make this recipe in a pot on the stovetop, but I love how the pressure cooker's Sauté settings perfectly control the temperature so that I don't scald my milk by accident. 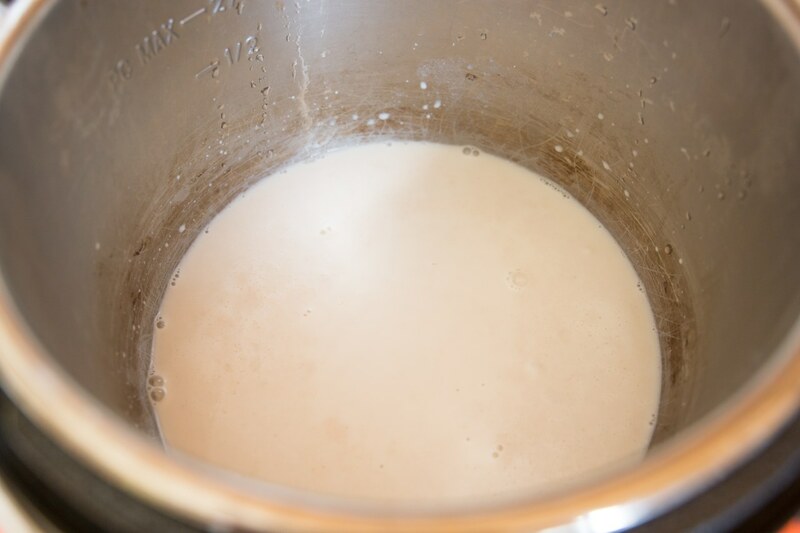 Add 1 cup milk to the inner pot of an electric pressure cooker. Press Sauté until you reach "Normal". 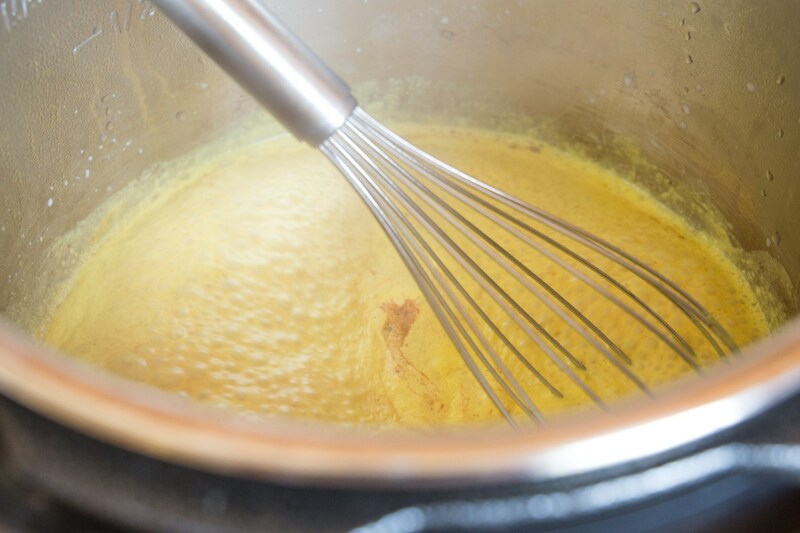 Normal = Medium heat on a stovetop and is perfect for bringing milk to a simmer without scalding it. 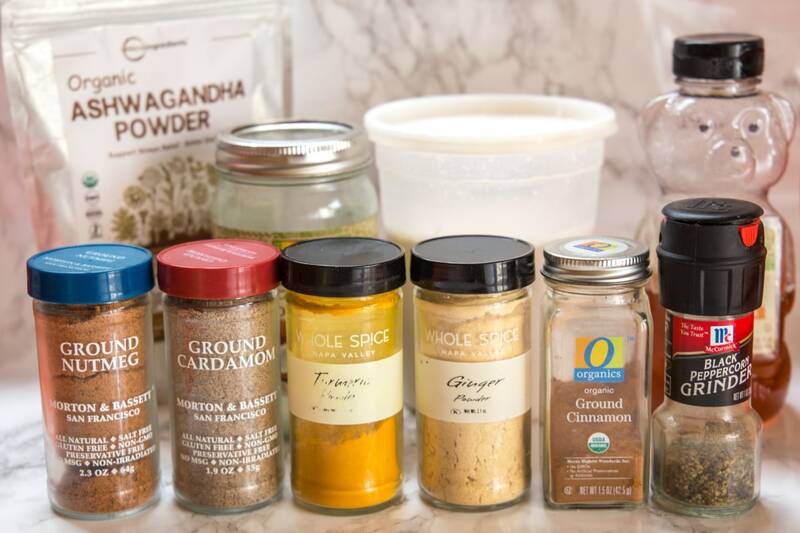 It's time to whisk in the cinnamon, turmeric, ashwagandha, cardamom, nutmeg, ginger, pepper, and coconut oil. 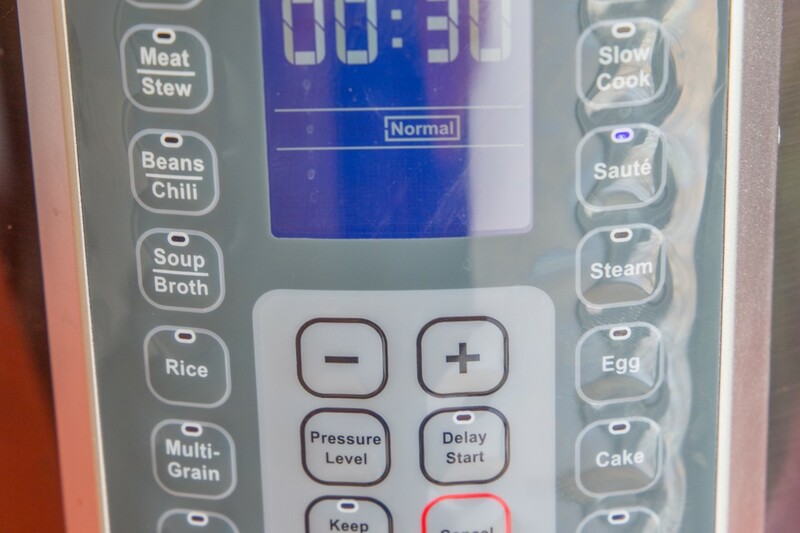 Press Cancel to turn off the heat, then allow the mixture to cool for about a minute. 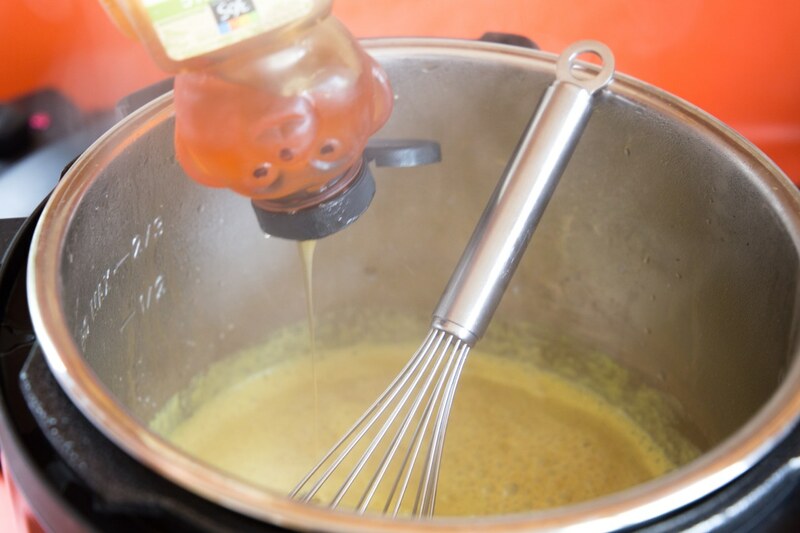 Whisk in the honey. Use a potholder to lift the steel pot out of the pressure cooker and carefully pour the mixture into a mug. Garnish with a little cinnamon if you want, and enjoy immediately!